Peace activist Bryan Law will make a brief appearance in Rockhampton Magistrates Court this Wednesday 14 December at 2.00 pm. Mr Law has been charged with seven offences arising out of the damage he inflicted on a Tiger attack helicopter belonging to the Australian Army. The incident took place at Rockhampton airport on 21 July 2011, during the Talisman Sabre war-games. Mr Law struck the helicopter with a garden mattock, causing an 8 cm tear in an external panel of the helicopter, serial no A38-006. 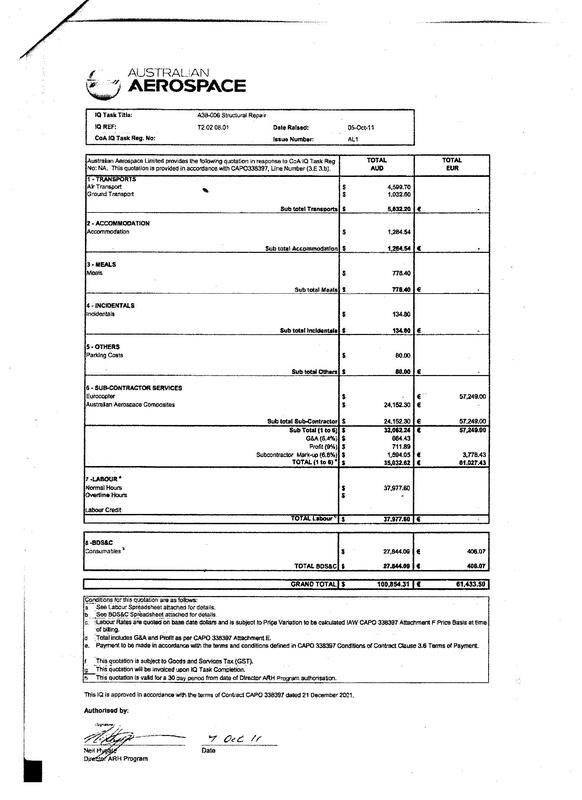 The “Through Life Support” contractors for the aircraft, Australian Aerospace (a subsidiary of Eurocopter based in Brisbane) quoted $100,854.31 AUD plus 61,433.50 Euros for repair of the 8 cm tear, making a grand total of approx $180,000 AUD (+ GST) at contemporary exchange rates. Mr Dunstan will be represented at the mention by Legal Aid, but will not be attending in person. Mr Law expects the matter will be adjourned to allow for conferencing, in the hope that a sum for repairing the damage can be agreed between the parties. 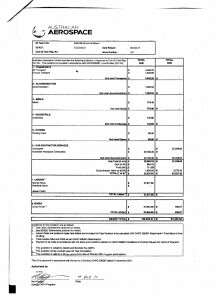 There are also issues to be dealt with relating to bail conditions, and the disposition of a charge arising out of his peace preaching activities on 20 June 2011 at the East St Mall. 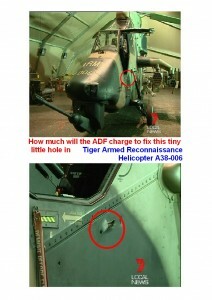 Attached is a pic of the damage to the helicopter, and some detail from the quotation prepared by Australian Aerospace.